The names, images and logos identifying Down Syndrome Education International (individually or collectively) or third parties and their products and services are subject to copyright, design rights and trade marks of Down Syndrome Education International and/or third parties. Nothing contained in these terms shall be construed as conferring any license or right to use any trade mark, design right or copyright of Down Syndrome Education International or any other third party. When you upload, submit, store, send or receive content to or through our Services, you give Down Syndrome Education International (and those we work with) a worldwide license to use, host, store, reproduce, modify, create derivative works (such as those resulting from translations, adaptations or other changes that we make so that your content works better with our Services), communicate, publish, publicly perform, publicly display and distribute such content. The rights that you grant in this license are for the limited purpose of operating, promoting and improving our Services, and to develop new ones. This license continues even if you stop using our Services. Make sure that you have the necessary rights to grant us this license for any content that you submit to our Services. You may use our online services to purchase products or services from Down Syndrome Education International and/or subsidiary and/or affiliated organizations. These transactions are subject to additional terms and conditions relating to the supply of goods and/or services. These will be clearly indicated at the point of transactions. Down Syndrome Education International gives you a personal, worldwide, royalty-free, non-assignable and non-exclusive license to use the software provided to you by Down Syndrome Education International as part of the Services. 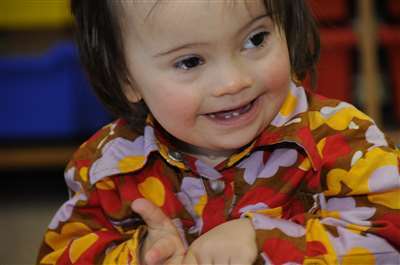 This license is for the sole purpose of enabling you to use and enjoy the benefit of the Services as provided by Down Syndrome Education International in the manner permitted by these terms. You may not copy, modify, distribute, sell or lease any part of our Services or included software, nor may you reverse engineer or attempt to extract the source code of that software, unless laws prohibit those restrictions or you have our written permission.